Marinades are the simplest, healthiest way to take a bland diet and make it brilliant. Don't wait another day to start using these recipes! What's your image of healthy eating? If it's six Tupperware containers packed with daily boiled chicken breasts, plain steamed broccoli, and baked sweet potatoes, then you need to stop and ask one question: Where are you in that image? Are you smiling as you choke down all those bland macronutrients? Not likely! Especially if you come from a background of eating burgers, pizza, and high sugar desserts, your taste buds are going to throw a fit if you switch over to foods in their plainest possible state. And for the majority of people, this means they'll be doomed to jump ship and doggie-paddle back over to the safety of the S.S. Junk Food. The clean-eating cliche doesn't have to be your reality! Simple additions to your meals can pay huge dividends in terms of flavor and variety, and perhaps the greatest examples of this are marinades. These are simple sauces that you soak or brush onto meat or vegetables prior to cooking. They make food taste better, cook better, and can provide an infusion of healthy spices and herbs into your diet. Here are a few great recipes to get you started. If you're eating for health or athletic performance, here's a simple rule you should memorize or consider writing on the wall in your kitchen: "The more garlic, the better." Garlic has been suggested by the American Society for Clinical Nutrition to help reduce cardiovascular disease, but it also offers far more established health benefits than we can recount here. Let's focus on perhaps the most important one: It makes healthy food taste better! This is a simple, great tasting marinade that goes well with pretty much anything—from beef to lamb to vegetables. You probably have most of these ingredients in your cupboard already, so put them to good use! This marinade uses fresh basil and rosemary—two healthy, nutrient-rich herbs that can be expensive to buy repeatedly in small quantities. Luckily, there's an easy solution: Walk out of the produce department and into the garden department, where you can buy live plants for the same price. Stick them on your windowsill or patio and you'll find that these gifts keep on giving! This simple recipe works exceptionally well with steak dishes. Just give it time to work its magic and infuse the meat with flavor! Do you hear that? Deep in your freezer, there's a tilapia filet begging to swim in this marinade. When it comes to fish, lemon and dill are perfect dance partners, especially when our old pal garlic is the DJ. Consider the tiny touch of added honey to be your reward for having eaten so many awful-tasting fish dishes in the past. If you find fresh dill to be a bit difficult to keep from wilting, go with the dried version. Just remember that dried herbs are generally more potent than fresh—I say generally because you might have a kitchen where all the herbs date back to biblical times. If that's the case, dump the dust, treat yourself to a rack of new spices, and use about half of the amount of dried dill a recipe with fresh dill calls for. Many people find Dijon mustard to be a game-changer. Just a couple tablespoons add a massive amount of flavor to any marinade or salad dressing, and in terms of ingredients, Dijon is about as clean as it gets. 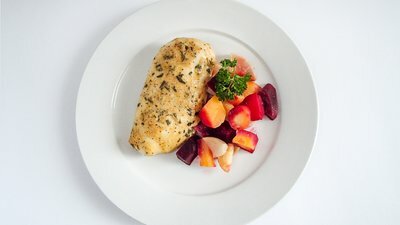 Chicken is perhaps the most popular meat to pair with a Dijon marinade, but it works equally well with pork, fish, or vegetables. Need another excuse to try this marinade? It contains coriander, which you should really have in your kitchen. Many people ignore this versatile spice because they don't know what to do with it, or because they've heard it's related to cilantro and they don't like that herb. Overcome your hesitance! Coriander's uniquely lemony, nutty flavor profile has a way of making everything it touches taste better! Now we're cooking! You'll need a decent selection of spices to concoct this flavor marvel, but you will be richly rewarded. You may have heard that cayenne pepper and cinnamon both have the potential to elevate your metabolism and increase fat-burning. This is true! However, if you rely on other people's cooking to get these wonder-spices, you probably get a lot of things you don't want, too. Homemade marinades like this one are the answer! Try it on any poultry or red meat dish, and you'll wonder what took you so long. And as an added bonus, your house will smell great while it's cooking!